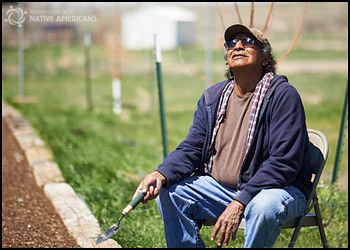 Johns’ bountiful harvest moved him from “gardener to grower” and his produce is purchased at local and mobile farmers markets across the Pine Ridge Reservation. 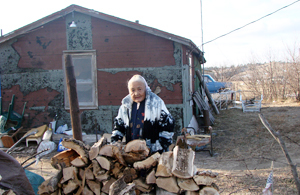 Living conditions on the reservations have been cited as “comparable to Third World.” (May 5, 2004, Gallup Independent). About 30% of the 5.2 million Native Americans in this country live on reservations, including 0.5 million in PWNA’s service area (2010 Census). 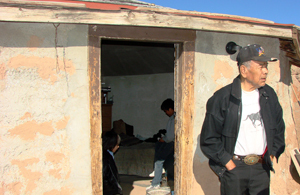 Living conditions on the reservations have been cited as “comparable to Third World.” (May 5, 2004, Gallup Independent). It is impossible to succinctly describe the many factors that have contributed to the challenges that Native America faces today, but the following facts about the most pressing issues of economics, health, and housing give a hint of what life is like for many of these first Americans. Typically, Tribal and Federal governments are the largest employers on the reservations. The scarcity of jobs and lack of economic opportunity mean that, depending on the reservation, four to eight out of ten adults on reservations are unemployed. Many households are overcrowded and earn only social security, disability, or veteran’s income. The overall percentage of American Indians living below the federal poverty line is 28.2%” (2008, American Indians Census Facts). The disparity for American Indians on the reservations is even greater, reaching 38% to 63% in our service area (2006, National Center for Education Statistics, and other sources). Often, heads of household are forced to leave the reservation to seek work, and grandparents take on the job of raising their grandchildren. In order to survive, extended families pool their meager resources as a way to meet basic needs. The relative poverty still experienced by these blended families is best described as the gap between the overall need and the need that goes unmet. Indian Health Service facilities are crisis-driven and leave a wide gap in adequate and preventative health care for many Native Americans. "The average life expectancy for Native Americans has improved yet still trails that of other Americans by a few years.” (2006, Indian Health Service). 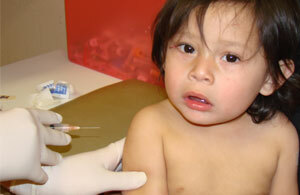 About 55% of American Indians rely on the Indian Health Service for medical care (2006, Indian Health Facts). Out of necessity, Indian Health Service facilities are crisis-driven and leave a wide gap in adequate and preventative health care for many Native Americans on the reservations. Pharmacies and doctor’s offices outside of hospitals are completely non-existent in some communities. The pressure to shift from a traditional way of life to a more Western lifestyle has dramatically changed the health status of the Native people, and created a terrible epidemic of chronic diseases such as diabetes, heart disease, tuberculosis, and cancer. American Indians are 20% more likely to have heart disease than other Americans and to die from it at a younger age (American Heart Association, per Indian Health Service, 2001). American Indians are 600% more likely to die from heart disease than other Americans, 226% more likely to die from diabetes, and 600% more likely to die from tuberculosis (2006, Indian Health Disparities). Disparities related to rates of cancer and cancer treatment are also higher than for any other Americans (2005, Native People for Cancer Control). Harsh weather, remoteness, chronic lack of economic opportunities and resources combine to create deplorable living conditions. 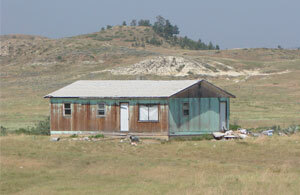 In addition, many American Indians are living in substandard housing. About 40% of on-reservation housing is considered inadequate (2003, Native American Indian Housing Council). The waiting list for tribal housing is long and overcrowding is inevitable. Most families will not turn away family members or anyone who needs a place to stay. It is not uncommon for 3 to 4 generations to live in a two-bedroom home. Further diminishing the quality of reservation housing is the noticeable absence of utilities. While most Americans take running water, telephones, and electricity for granted, many reservation families live without these luxuries. This increases the potential for health risk, especially in the more isolated areas. Our Mission: Serving immediate needs. Supporting long-term solutions. Our Vision: Strong, self-sufficient Native American communities.